Apologies for the lack of posts on here lately, but as our regular readers know, Erik’s mom, Marguerite, has been ill for some time and as of this week she has moved into hospice care. As a result, we’re taking a break from posting for a little while. These are sad times but they are full of good memories and lots of love. 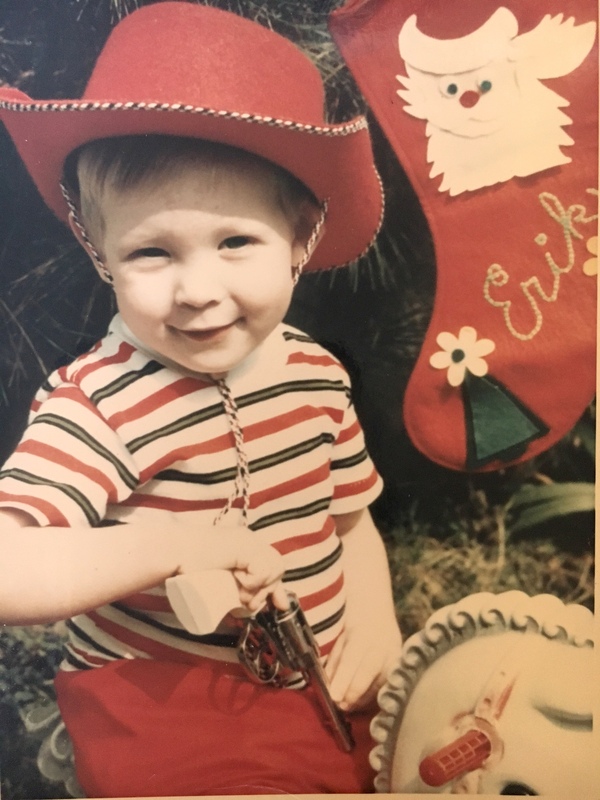 And speaking of good memories –I’ve been sifting through the Knutzen family albums and thought you might like to see one of Erik’s–or should I say the Sheriff’s?– baby pictures. Deepest sympathies. It’s been wonderful to see you posting again, Mrs. Homegrown, but please do what you need to do to take care of you and your family. We’ll be here. We will all be waiting right here. I know posting is time-consuming and he needs to spend much time with her. He was a cutie. Family is WAY more important than blogs. Wishing you both the strength to deal with difficult times. Our prayers are with you. Take care. Sending Peace to Erik and family. Sending you both good energy and strength for the days ahead. Boy, this has been a rough year for you guys. Take care, take time, do everything you need to do, and don’t worry about the blog. Best wishes from a regular reader. Take all the time you need. Strength to you both. Dear Erik and Kelly, my thoughts and prayers go out to you both and to your mother. Peace and love to you all. Family is the priority… wishing you strength and love in caring for your mom. Been there, take all the help and support that is on offer. Blessings to you. So sorry to hear about Erik’s mom. Wishing all of you peace. Echoing everyone above, wishing you strength and peace as you do the important things. We’ll all be here when you’re ready. And thinking of you in the meantime. I have been through this with my father. The support of family and friends is so important. Family always comes first and your priorities are set right, so please take care of yourselves as well. Praying for Erik’s mom Marguerite recovery. My prayers to you and your family.Please be well. P.S. Erik’s photo as a kid is soo cute! That picture is so sweet: time certainly flies. Love to you both, and to Marguerite.